We started this tradition last year. It was received very well, and it resulted in a substantial amount of growth in our organization. So, we would like to hold this event again, but with a slightly different approach. In this post, you will find the reviews of both our favorite albums and our favorite EP’s from 2015. There are seven entries with one runner-up and one free download in each category. We’re still keeping the name since two of these releases can be acquired with no cost to you. More information on the prizes can be found in tomorrow’s post. For the EP’s, we have adopted the rating system from last year. For the albums portion of this post, we have abandoned the rating system since there are some unquantifiable things that make certain releases better than others. The rating system we use here is set to scale with the number one release on this list. Of course, there is no such thing as a truly “perfect score” in any of the areas, but the criteria are used for the purposes of illustrating what one release did better than another. Discourse: This EP pushes the limits of my pop tastes, but I really enjoy it. 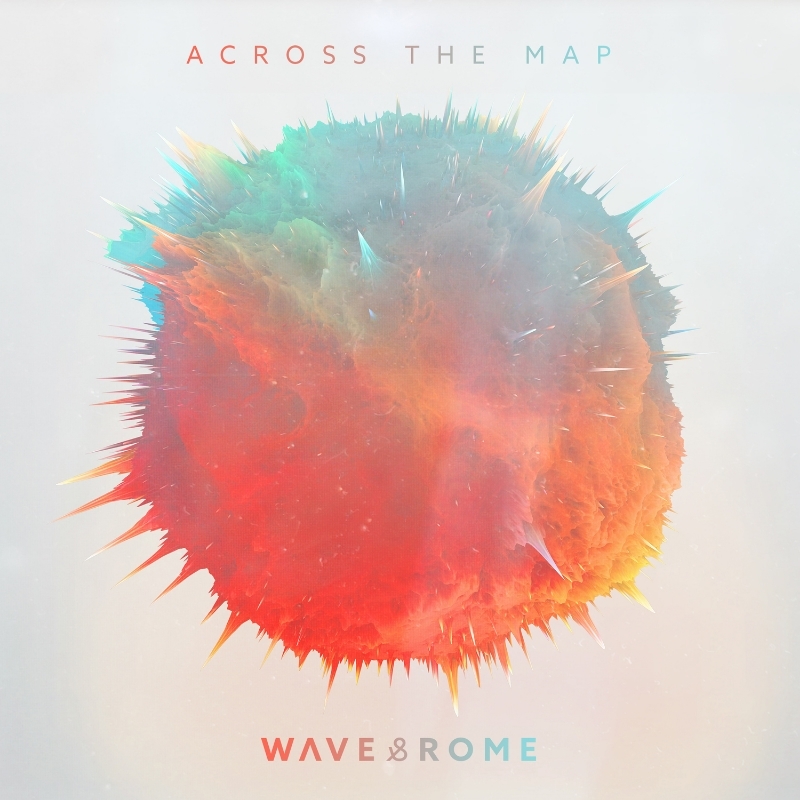 WAVE & ROME has a lot of forward momentum, and it’s been exciting to see them grow and gain traction in the months since they released this debut. A full length should be a rather pleasant experience. Read our full review here. Read our interview with WAVE & ROME’s Sam Tinnesz here. Discourse: These worship songs aren’t as sing-able as ones that you’ll see later in this post, and they lean closer to cliché than I would prefer. However, Troubadour Parade is a refreshing addition to the predominately secular indie pop scene. The best moment of the EP is the psychedelic flavoring in “Salvation Sing to Me,” which shows the band’s willingness to move past standard “Christian music” tropes and make good music. Read our interview with Troubadour Parade’s Dustin Lau here. Discourse: A well-balanced and delicately structured EP/mini-album with great atmosphere, a strong delivery, and interesting lyrics. The EP feels like there’s something small missing that would push it farther up this list, but I can’t quite put a finger on it. I expect that this element—whatever it is – will be present in Paper Lights’ debut full-length, Great Escapes. Nevertheless, it’s still a fantastic release. Read our full review here. Read our interview with Paper Lights’ Dan Snyder here. Discourse: John Mark and Sarah McMillan show the world that you actually can write a worship song with sing-able lyrics that aren’t cliché or watered down in their theology. Sarah’s voice is a little harsh, but the atmosphere and attitude of this release is unparalleled for a worship release. Discourse: Both installments in John Ringhofer’s self-released Foiled series are outstanding. Even though these may seem “quarter-handed” from the surface, they stand on their own and in some ways even outshine HHC’s full-length from last year, Flying Scroll Flight Control. They’re definitely odd, but they are filled to the brim with charm. Read our full reviews here and here. Read our interview with John Ringhofer here. Discourse: This is EP displays mastery of the short-form musical release. The narrative it follows is compelling, and the music to which it is set is rich in texture. It’s one of the most immersive releases of this year, long or short. Read our full review here. Read our interview with Thad Kopec here. Download this EP for FREE here. Discourse: This EP mark’s Kris Orlowski’s first outing as a musician by profession. Earlier in the year, Kris quit his day job to pursue music full-time, and this release showcases his best vocals (and perhaps arrangements) yet. It didn’t make the official list because it’s a cover EP and not an original release. It’s very good, but I’m more excited to hear new songs. Read our interview with Kris Orlowski here. Discourse: Whenever I listen to this album, it just sounds so right. The music pays tribute to different pop music trends from the years, including 50’s surf rock, 80’s ballads, and big band. The lyrics are thoughtful, and Brandon Flowers’ voice is easily the star of this show. The music and lyrics sometimes become too far immersed in the theatrics and flashiness of the release, so it occasionally leaves something to be desired intellectually. However, the overall experience and flow of the album is entertaining and engrossing. Discourse: Though the band has since disbanded, this album stands as a favorite of mine. I go through cycles of liking this album and really liking this album. Frontman and lyricist Eric Tempelaere wrote this album during a particularly difficult season of his life, and it’s invigorating to see the beauty which came forth from it. The album is a tad long, but the lyrics and unique sonic pairings make it worth the lengthier stay. Read our full review here. Discourse: This summer, I was driving to a wedding rehearsal dinner, and In Clover was playing on my stereo. I distinctly remember as I was going down the road having this realization that I was singing along very loudly. It was at this moment that it really struck me: this album is marvelous. From its louder sing-able moments to its tenderer, contemplative moments, this album really shines. Josh Jackson is a musical sort of wizard sage, and he really shows it here. Read our full review here. Read our interview with Josh Jackson here. Download this album for FREE here. Discourse: This album has probably been the most sung album in my home this year. Not only do these guys know how to capture an audience and build a brand, but they also know how to speak life directly to the issues most relevant to their audience. TOP’s approach to music and lyricism is challenging and refreshing, and it’s very encouraging to see Christians having such a powerful voice in the arts. In addition, the production of the album is stellar. The album feels a little long due to some tracklist mis-ordering, and some textures are a little abrasive, but it’s definitely worth checking out. Discourse: I’ve discoursed about this album a lot, and it takes this spot by the level of achievement that it reaches. A double-disc album is hard to pull off. A short story is hard to pull off. Physick’s style of music is hard to pull off. Somehow, they manage to successfully combine all of these elements into one enthralling experience. Read our full review here. Read our interview with Physick here. Listen to Physick’s Weekend Mixtape here. Discourse: Carrie & Lowell is an intense and redemptive picture of grief and relationship. The album covers some heavy and difficult content, but it does so in a way that isn’t self-indulgent or glorifying of the nastiness the Sufjan Stevens went through after his troubled mother passed away. The album has a profoundly gentle delivery, even though its content can cut like a knife. I’d personally recommend listening to this album one of two ways: on vinyl or the digital files with earbuds. These ways are preferred to me because of the space between the listener and the music. With earbuds, you’re most intimately immersed in the album, so the album feels that much more real. On vinyl, there is the most distance, which highlights just how penetrating the album is by allowing it to have an impact even over a larger area. However, there really is no “right” way to listen to this brilliant work. Read our album commentary here. There’s a postscript for this album at the bottom of this page. Discourse: Sean Sullivan wrestles with the topics of God, politics, and culture in this passionate album. He unflinchingly presents his opinions on abortion, zombies, sin, American government, suicide, modern technology, and evolution in only 13 tracks. At the end of the album, he confesses his hope and trust that Jesus is the only one who can fix all of society’s problems. This album didn’t make the official list because I personally don’t enjoy the style of music as much as some other albums. However, it is indeed an excellent album, and it only missed a spot on the list due to points of subjectivity. Read our full review here. Read our interview with Sean Sullivan here. C&L postscript: In this album, there are definitely some PG-13 elements (one f-word, some sexual references, and intense thematic material). Why would I put this album at the top my list? After all, I wouldn’t give away one song last year because it contained a misuse of the word “hell.” What’s with the big jump in permitted content? In short, I’ve matured over the last year, so naturally my taste in music has matured. What I listen to now covers some deeper issues than what I listened to last year. In the case of this album, I permit the references to immorality and intense themes because they are not glorified but rather correctly portrayed in their awfulness. I permit the f-word less readily, but I do in this case with the caveat that I listen to this album once a month at maximum. I limit my intake of this album as to preserve the experience and to limit my exposure to its harsher edges. I also have less of a problem with the language in this album because it isn’t flippantly used. It’s not all over the album, and it doesn’t feel out of place in its context. The harshest language is found at the lowest point of the narrative, and the language serves as a punctuation mark of that paragraph, if you will. I don’t know if I would personally make that artistic decision, but I am okay with Sufjan Stevens’ use of it in this album. In closing, Carrie & Lowell is for the discerning listener, and I would hope that whoever receives this album in the giveaway doesn’t take it or its content lightly.